Twinkle Dance Company Blog: Twinkle Dance Golden tickets will be on sale soon !! Twinkle Dance Golden tickets will be on sale soon !! Twinkle dance seems to have a main event for every month of 2015. 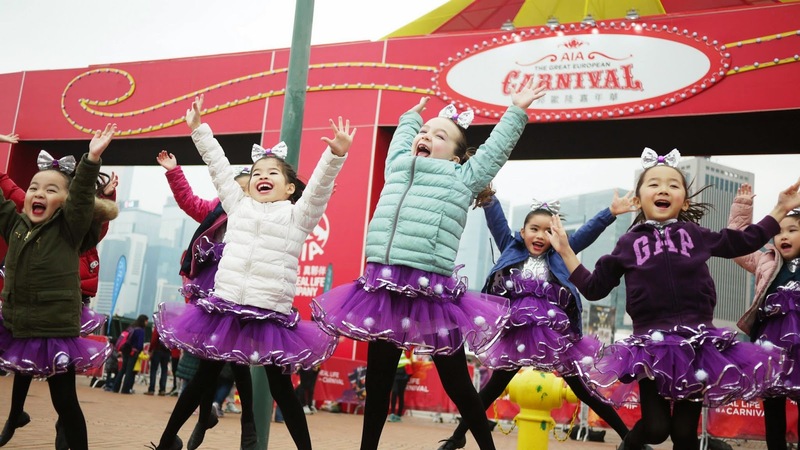 January's highlight was Twinkle Dance production team performing at one of Hong kongs biggest events AIA Carnival. Our stars had a wonderful time performing in front of lots of people, so amazing to see such courage and confidence from our young dancers especially in the cold weather of hong kong. This year is the first show with their brand new costumes, we were just as excited as they were. Keep an eye out on here to see where they will be performing next. You can check out many photos and videos here. February is known to be the month of heart shaped cards, bouquets of flowers and sweet decedent chocolates, but for us it is more than romancing our true loves. It is also the release date to purchase tickets for our annual show! That's right, from 10am on February 14th, tickets for 'Twinkle Dance The Golden Ticket' will be ready and raring for you to get your hands on. We know there are many friends and families out there who have been Eagerly waiting for this event so be quick and buy your ticket as soon as you can. There is limited seating so do not take too long otherwise the next time you look it will be sold out. Where can I buy them I hear you say, well there are more than one way you can purchuse them. As many of of you know we will be doing two shows this year due to the fantastic number of dancers applying this year, so please make sure you purchase tickets for the correct date, if you are not entirely sure when your child is performing then feel free to contact us via phone and email or you can ask one of the Twinkle teachers themselves. For March it will be the big show! We are so excited to see you all there cheering on our little dancers. i know your wondering what April has in store for twinkle dance, I guess you have to wait and see.